Social Media is gigantic and with so many platforms attracting more and more people every year, they are unavoidable for businesses. Whether or not you are intent on making a profit, Social Media can give you the exposure you need. Platforms like Facebook, LinkedIn, Twitter, Instagram, Pinterest, etc offer users a simple, personalized and DIY promotion portal that they can monetize using advanced tools and analytics. Social Media Marketing is indeed promising but it really boils down to one question: Are you targeting the right audience? You can’t expect a paying customer for your luxury stilettos from a batch of consumers who regularly shop at Gap or Target. Demographics are important for understanding the kind of people you want your social media profile and campaign to attract. If you aren’t considering the audience you want to target and haven’t determined it, then you may as well be marketing your business or yourself to a mute structure. The basic principle that everyone using Social Media, business or not, must follow is, “Get Social”. The virtual platforms are offering attention and as a business, personality or any other entity promoting their products/services, you should be able to gain and retain their attention and transform this into actual, measurable sales. Almost a half a decade back, checking in to fancy restaurants, places was all the rage and is still it. Local businesses had a gala time optimizing the feature as it raked in plenty of engagement for them. 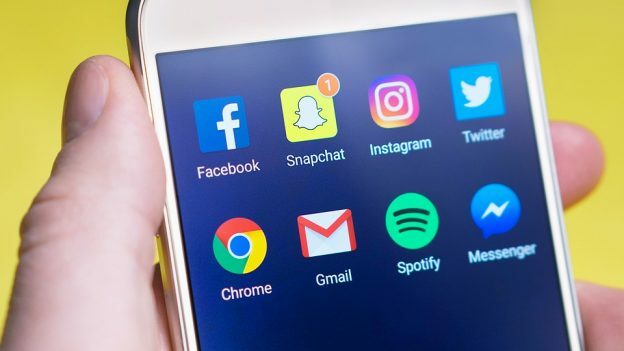 As new advancements like stories on Instagram, paid promotions, etc are expanding a whole new world of social advertising for promoters online, some businesses still have a hard time optimizing these paid and unpaid features. Most businesses that complain that they are having a hard time taking off on Social Media but eventually, the question stays the same. Are you targeting the right people? On almost all major Social Media Platforms, the engagement to your posts and content is visible publicly. Insights and analytics further tell you the number of times your post/ad was seen. Certain platforms will even tell you where your audience is from (location), what age group do they belong to, which gender were they, what action did they take after seeing your content among other details. Simple details like gender, location, age group, personal preferences, etc can help you filter your audience and identity opportunities to flourish engagement and conversions of your page. Understanding the kind of product/service you are selling or promoting and who exactly was it manufactured to can help you identify your target audience. If you are promoting content that focuses on things other than sales and revenue (such as awareness and sponsorships), you need to consider the type of audience you want to attract based on your end-goal. Just in case, you don’t know how to get started, you can create a fictional persona for your ideal audience. Make the persona more interactive and fruitful by adding attributes to it and ensure that you keep improvising as you find more details about the type of audience/customer you want to target. Understanding your market and the audience you have available on Social Media and the audience that you can target will be a long process. You will have to keep polishing your strategies to further narrow down the people you want to engage and improvise your content strategy for extensive engagement. You don’t need to turn your page to a business page on LinkedIn to be able to see the analytics and insights. Switching to the premium version will definitely give you more advanced information but there are plenty of tools that give you sophisticated insight into how your content and profile is performing on these networks. You can check almost everything from the gender of the people visiting and engaging with your content to their location. Analytics even let you see which one of your content performs the best on certain social networks. But before you get down to analytical business, you need to pick the right platform for the right audience. You can’t expect reliable or any B2B leads out of Facebook Marketing at all. Before you understand which purpose to use which platform for, you need to understand the concentration of users on the platform, their nature and their demographics. It’s no surprise that anyone using social media is a prospect already but unless you determine whether these prospects are looking for brands like yours or are even interested in consuming your content, they’ll remain irrelevant. So, knowing which platform to pick for what type and nature of social media marketing is vital. Facebook almost has a balance of male and female users with 87% users belonging to the 18-29 years age group. Only 68% of the total users of Facebook are university educated. 64% people who use Instagram belong to the 18-29 years age group. LInkedIn has a higher percentage of men compared to women. In fact, LinkedIn has more than 133 million users in the US itself and 34% adults living in urban areas make use of this ultimate social network for professionals. Since, it’s the go-to platform for professionals, LinkedIn also has 50% college educated users. Twitter, Pinterest and numerous other high-in-demand social media platforms have sophisticated data available on their user base. Based on the attributes and demographics, you can make an informed decision about where it would be easy for you find your target audience in abundance. Often, content and social media marketers develop shortsighted strategies that focus more on raking in short-term engagement. But it’s best to not jump on the bandwagon everytime there’s a big trend. Instead, social media marketers should understand the kind of audience they should be targeting keeping their end goal in mind and then set the fictional persona. Based on this, once you have made the choice of best suitable platform, understand how you audience consumes content. Some of your audience may have trouble reading long blogs or some of your audience may be a huge fan of tutorial videos. So, based on these, design the content and keep improvising to optimize content consumption and lead generation. Pro-Tip: Paid ads/sponsored content lets you choose your audience as several platforms like Facebook, LinkedIn, etc give you a wide variety of options for choosing your audience. So, you can actually pick who you really want your ads to reach. This will help you not only optimize your budget but also get relevant impressions and leads. Social Media is a thriving playground for local as well as larger businesses with roots throughout the world. But unless you understand who you really want to engage on these platforms and which platforms you want to use for which purpose, your social media marketing strategy will go waste. Based on the reliabel demographic data of the people who actively use major social media platforms like LinkedIn, Twitter, Instagram, Facebook, etc, you can determine which one of these would be best suitable for you. Keep your process of finding and expanding your audience an ongoing one since tastes evolve and preferences change. Understand your analytics thoroughly to determine better ways of connecting with your audience. The Digital Marketing Expert of the leading internet marketing company of India, SEO Corporation, Nagendra Singh is a search marketing professional with 10 years of experience. He has closely observed and improvised his campaigns and strategies with the evolution of search marketing and is dedicated to helping companies grow their digital imprint by enhancing web traffic.